Even though I knew they were wrong, a suspension of his benefits until I could prove them wrong could snowball into other areas and his day program. (read how it all goes together in our area here). I spent it down and sent all of the information to the caseworker. Before contacting an attorney, I started the appeals process. I was not appealing the payback, I was appealing the account. I knew they were wrong. I mailed the form on November 4, 2016 and waited to receive an appeal date. On November 28, I sent another form along with the letter below. I decided to include it at the last minute. The enclosed appeal form was mailed on November 4, 2016. As of today, (November 28, 2016) I have not received any word or notification of an appeal date. Because historically things tend to get “lost”, I did not want to sit and wait for a date only to find out after the 60 day appeal window had expired, that the form was never received or seen. The account in question was a life insurance policy that I purchased when DC was an infant. The premise was that I could turn it over to him when he was 18 and it would then be his policy and the premium would never increase. As he was an infant at the time, I did not know that he would be diagnosed with Autism and not understand money, never mind an insurance policy. Due to this diagnosis and his very limited capabilities the account was never turned over to him. I was the owner of the account. As I was told by the insurance company more than once, he had no rights to the account. Even if he could understand what an insurance policy was, he had no rights to it. He was the insured, only. He could not withdraw the cash value. He could not close the account. He had no rights to the account at all. I did close the account and spend the cash value of 2,600 some odd dollars on him, only because I was told that his benefits would be suspended until I did. SPENDING IT DOWN WAS IN NO WAY AN INDICATION OF MY AGREEMENT WITH THE DETERMINATION! The woman who processed his re-determination insisted that this account was considered a resource for him because in theory I could very well cash it out and give him the money. If we are going to use that line of thinking, I could cash my paycheck and give it to him (he has no right to that either). She also said that if/when I die that this account would become the property of someone else. This is true but then THAT person would be the owner of the account, HE WOULD STILL BE THE INSURED and that person would then be the beneficiary. He would still have no rights to the account. 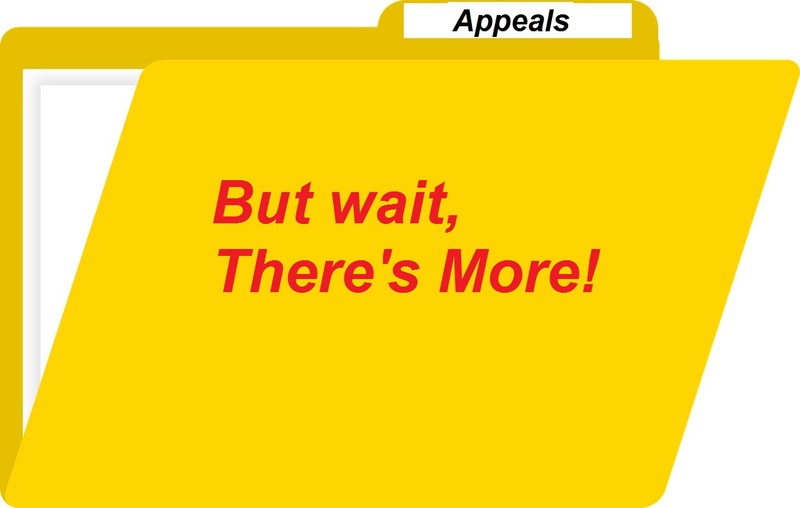 I waited for an appeal date…. and waited. On December 17 while still not having an appeal date, I received another kick in the face; my step-father, against my wishes, saw fit to make DC a beneficiary on a small life insurance policy and the insurance company had contacted me about a payout (more about that later). This I knew was going to be a problem – this was considered a resource. I knew that for a fact (because, again I do know things). This was happening while I still had the first 12,000.00 hanging over my head. I got home and checked the mail, and there was still no appeal date, so I got on the phone. I was not sure who I should speak to but I waited the 45 minutes on hold and finally got a person at social security. I explained that I had filled out two appeal forms, one on November 4 and another on November 28 and I had still not received an appeal date. She checked the records and came back and told me that the issue was disposed of. The account was not considered a resource. Really? I have spent all of this time waiting for an appeal date and the issue was disposed of but no one bothered to inform me? She apologized and went to speak with someone I assumed was her supervisor, who told her that she did not know why I did not receive any notification. I asked for a letter stating that this issue was resolved, for my records. I was told I would receive that letter shortly. In the end I was correct. Unfortunately it cost me $2600.00, which no one seemed to mention or apologize for and no one saw fit to notify me while I was still waiting for a date. I certainly would have taken this new insurance policy issue a little bit better if I had not had this other issue hanging over my head. I did my due diligence and checked into that account more than once. They were wrong, but before that was determined, I was required to spend $2600.00 so his benefits would not be suspended. If I had not appealed, I would now be paying back $12,000.00 for absolutely no reason other than the case worker did not know what she was talking about. I explained it to her exactly the way I explained it in the appeal letter, more than once and I was also required to send a copy of the policy to her at the time, so I know that there had been no miscommunication with the caseworker. She either just did not know what she was doing or just saw an opportunity to make herself look better in the eyes of the agency by collecting a good chunk of money. We are required to jump though so many hoops when our children reach adulthood and unfortunately we are at the mercy of these agencies who seem know next to nothing when it comes to our children, and what we are required to know and do. As a parents, we jump through every hoop laid out in front of us to ensure that everything is in place for or child’s future, because that is really what all of this is about, isn’t it? Bottom line is, you can not trust that you are not being taken advantage of by these people and you can not trust that they know what they are doing – always appeal! We will get to that next week……………..
Perhaps you should send ALL of this info to our Illustrious Governor to let him know why the State is in the hole. INCOMPETENT BUREAUCRACY!!!!!! My goodness, anyone in the private sector would be fired for conducting business like that!! You, my dear friend, are AMAZING!!!! Oh, just wait – it almost gets funny.